Update 1/30/19: The long-press to show history feature is now enabled by default in the stable version of Google Chrome version 72. Update 7/29/18: The feature is now available in the latest Chrome Canary build. Screenshots can be found below. As Google continues to attempt to improve it’s UX in Google Chrome, they’ve been trying in other ways to improve their browser too. According to the Chromium Gerrit, an addition is in the works that will allow you to long-press your device’s back button to view your recent navigational history. The feature will be enabled via a Chrome flag and will only be available on mobile devices. 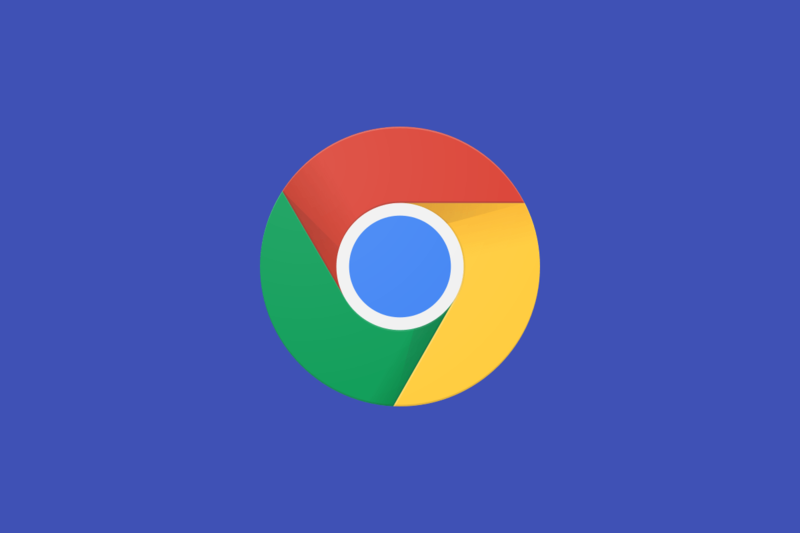 The flag description simply states that the feature is comprised of a “long press [of] the back button to display navigation history.” We’re unsure how exactly the navigation history will be displayed on-screen, but it could be possible to see the new Chrome Duplex being used to display it. Either way, it’s an attempt by Google to improve their browser and provide even more ways for users to view potentially important information easily. Currently, it’s not difficult to view your navigational history anyways, but there’s nothing wrong with making it even easier. The feature is reminiscent of Google Chrome on Desktop’s ability to view your navigation history by right-clicking the back arrow in the top left. The style this menu follows could also suggest the style in which we will see our navigational history. As a result, it may not be through the use of the new Google Duplex, but through a menu which comes from the top right or top left of the screen. Firefox for Android and Samsung Internet also have such a feature, so it’s not too surprising to see Google incorporate it into Chrome to achieve feature parity. This isn’t the only change we’ve spotted recently, with another commit suggesting that soon we may see link dragging and dropping via a gesture. If the testing goes successfully, we will likely see this feature make in the Canary version of Google Chrome in the next month or two. You’ll be able to download it via the Google Play Store and give it a try. If you’re interested in any other new features of Google Chrome, you can download the Canary version below. 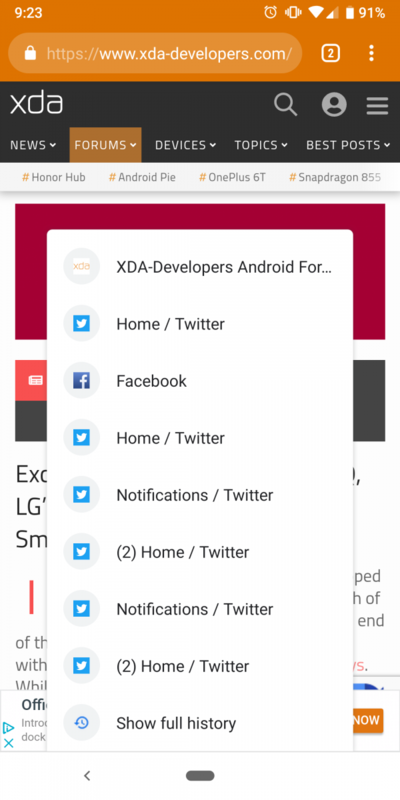 The feature is now present in the stable version of Chrome for Android. Starting with version 72, you can simply long-press the back button in the navigation bar to show the history of the current tab.